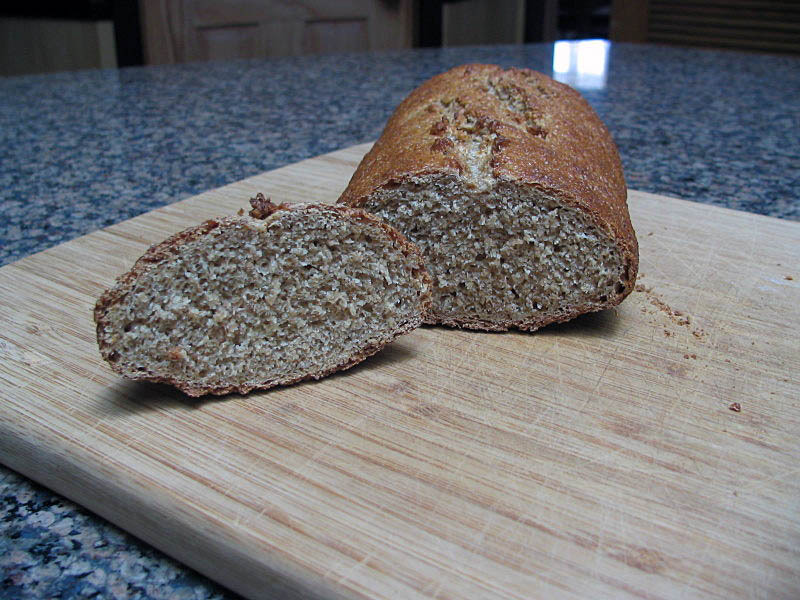 With only two breads remaining at the end of the BBA Challenge, I was hoping for something wonderful to say about Reinhart’s version of whole wheat bread. But unfortunately, this bread fought hard for last place with the now infamous 100% sourdough rye. I wasn’t the only participant to have problems with this recipe; you can jump to Oggi’s blog for her comments about it. At some point I’d like to improve at breads with low to no white flour, because they consistently provided lessons on humility. So, without further ado, here are the proofs of my crime, with apologies to Mr. Reinhart. The dough was sticky, grainy and generally unpleasant to work with. 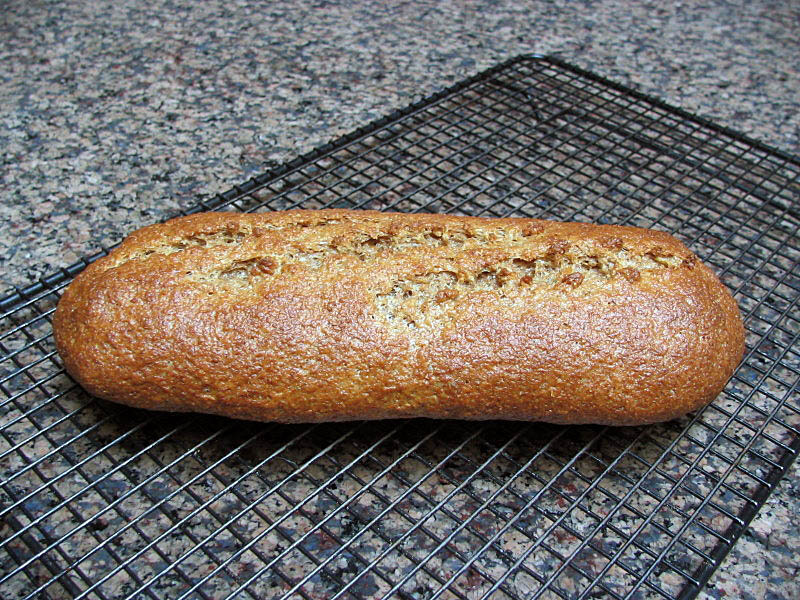 The crumb was tight, as expected for this variety, but the taste was just plain bland. Even my husband, who eats all my failures with a smile (while saying that I’m too hard on myself…violins playing, please) told me “if a bread isn’t even good with butter and this awesome fig jam, then something’s seriously wrong with it”. Life goes on, so does the challenge. I’m anticipating the final two breads, which look like masterpieces… Stay tuned!